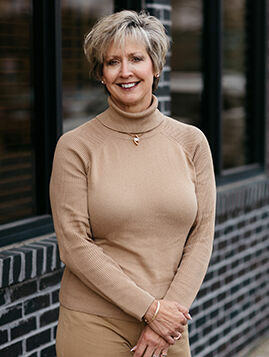 Debbie has over 35 years of experience in the title insurance industry. Her experience is multi-faceted in both the residential and commercial real estate and includes title, closings, underwriting, policies and construction. She joined the CSS staff in 2003, and currently oversees insured title and closing operations for both the Michigan Branch offices and also the Regional Office in North Olmsted, Ohio. Debbie is an active member and has served on the Board of Directors for the Michigan Land Title Association (MLTA). She has achieved the professional designation of Certified Land Title Professional through the MLTA and has also achieved National Title Professional designation through the American Land Title Association. These designations represent the highest measure of achievement in the land title insurance profession. She is an affiliate member of the Antrim-Charlevoix-Kalkaska Association of Realtors, a licensed Real Estate Broker, and a licensed title insurance agent in Michigan and in Maryland. Debbie is a graduate of Ferris State University. A native of northern Michigan, she lives in East Jordan with her husband, Steve. She enjoys camping and spending time with her grandchildren.